As a relatively new, and still contentious, arrival on the tourist map, travelling in Myanmar feels like stepping back in time. 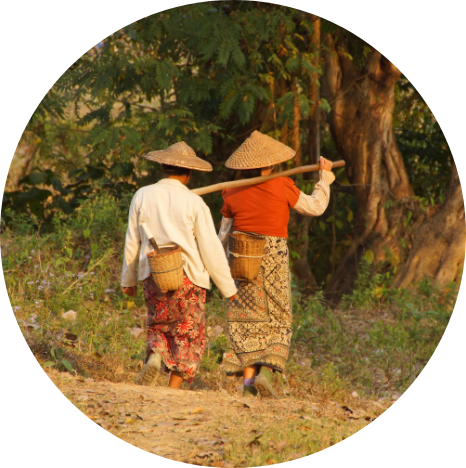 With its multitude of distinct ethnic groups, traditional customs and dress are very much in evidence in this largely rural nation of small-scale farms and rice paddies. Buddhism is the main religion and sacred temples and glittering pagodas are dotted across the verdant landscapes. You’ll find the people calm, engaging and eager to welcome you to their magical land. Don’t be surprised if you’re invited in for tea – a remnant of British colonial rule that is still very much embraced. There are many wonderful experiences to be had in this spiritual country. 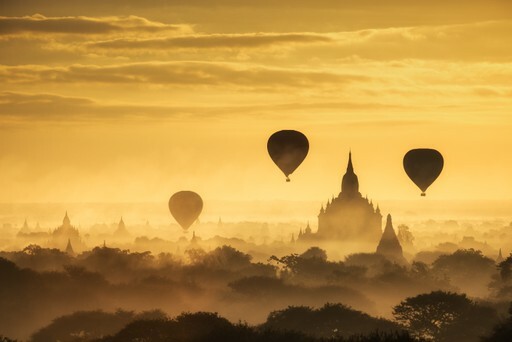 For further inspiration take a look at the trip ideas put together by our trusted local experts at the foot of this page, but in the meantime here are our top three things to do in Myanmar. Otherworldly Bagan is a sight to behold, with ornate Buddhist temples and golden pagodas punctuating fertile tropical plains. As the former capital of the Pagan Kingdom, 10,000 religious monuments were built here between the 9th and 13th centuries, of which some 2000 remain. A great way to drink in the sublime views is to take a hot air balloon ride at sunrise or sunset, when golden light imbues the scene with even more magic. 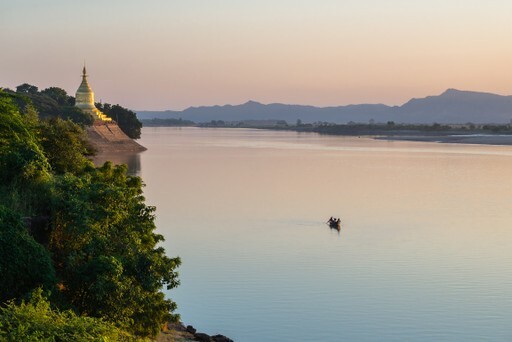 The Irrawaddy River runs from north to south, rising in the Himalayas and draining into the Andaman Ocean. As early as the 6th Century the river was used for trade and transportation and it retains a beautiful timeless quality. Board a riverboat and float down stream watching rural life unfold along its banks. Thatched houses on stilts, ox-drawn ploughs and tiered pagodas slip by as you relax into a slower pace of life. Myanmar’s former capital Yangon (formerly Rangoon) is the country’s largest and most exciting city. Its colonial downtown is home to some of the continent’s most impressive colonial architecture, some of it beautifully weathered and surrounded by animated street markets. 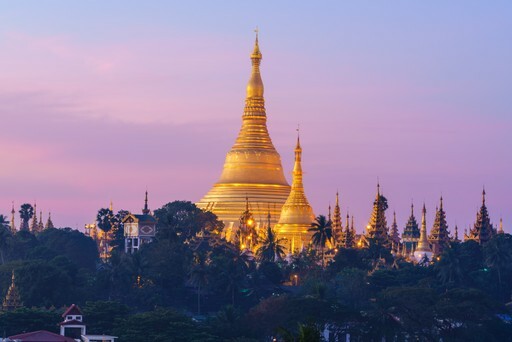 The spiritual heart of the city, and the country, is found at the revered Shwedagon Pagoda, a pristine temple glinting with polished gold and diamonds. When should I visit Myanmar (Burma)? From mid-October to late February the weather is dry, warm and pleasant. However temperatures start to really shoot up in March and April, which can be uncomfortable if you are not used to the tropics. The southwest monsoon dominates from May to October, with coastal areas in particular seeing heavy rainfall for much of this period. On the plus side the whole country and its sights are quiet – no availability issues, traffic isn’t so bad and prices are softer. Create your bespoke holiday to Myanmar (Burma)!